On January 21, 1972, the Indian state of Assam lost its capital Shillong to a new state, Meghalaya. Shillong had been the capital of Assam since colonial times, and the Assamese were proud of their capital, a charming hill station at 4,900 feet above sea level. A cosmopolitan, polyglot town, Shillong was surrounded by tribal land where the dominant language was Khasi rather than Assamese. The tribal population of the Khasi Hills felt marginalized by the elevation of Assamese over their own language. Khasi tribal leaders joined leaders from the Garo and Jaintia Hills from to form the Hill State Movement, agitating for separation of the tribal areas of the Meghalaya Plateau from Assam. In 1970, Meghalaya became and autonomous state in Assam, and in 1972 it became a full-fledged state within the Indian union. The capital of Assam moved from the hills down to Dispur, a suburb of Gauhati (Guwahati) in the Brahmaputra River Valley. 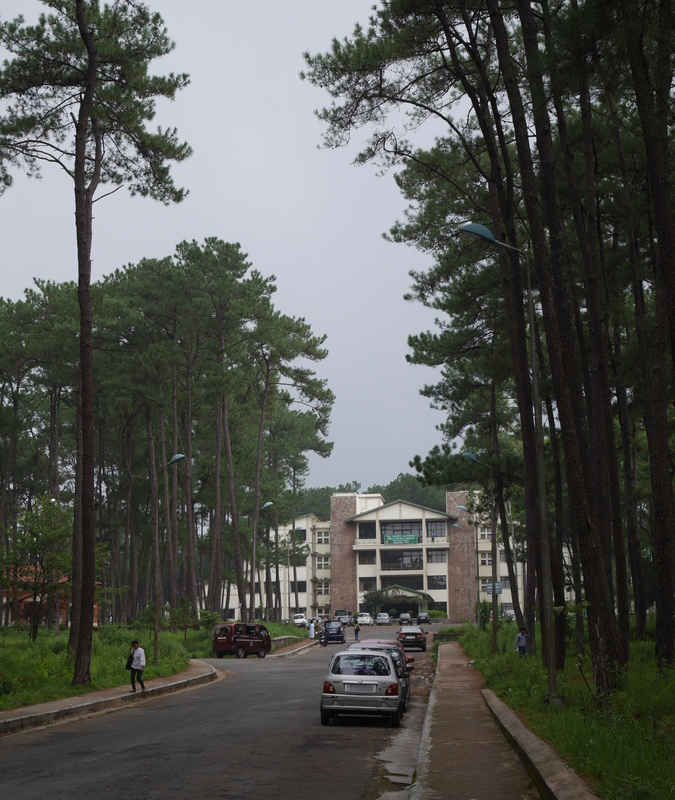 (Dispur has since been swallowed up in Guwahati’s urban sprawl.) Assam government offices and institutions moved down to Dispur. 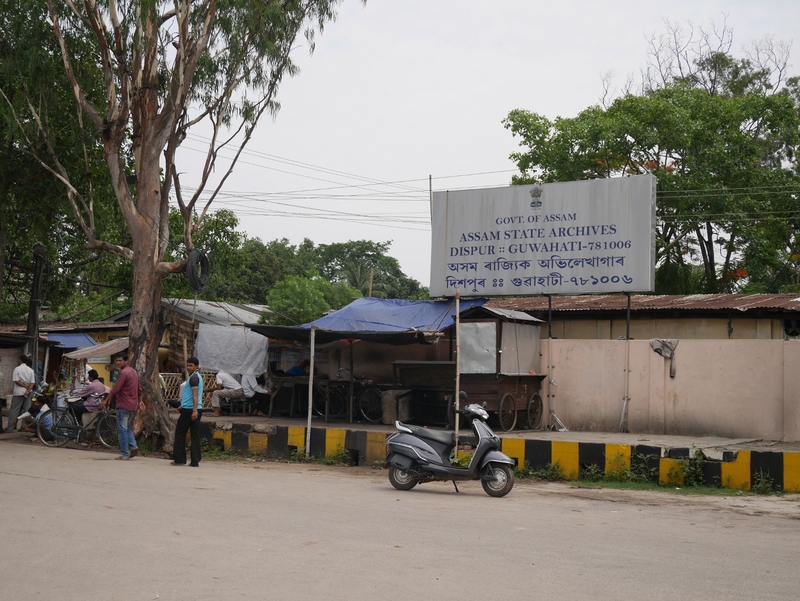 In 1980, the records of Assam shifted from Shillong and were set up in the Assam State Archives in Dispur. Meanwhile, the Government of Meghalaya set up its own State Records Room in Shillong. The records kept there were about the period after the split with Assam, because the records from before had moved down to Dispur. This is something I wish I had understood before going to Guwahati and Shillong for research: most of the pre-1972 records are in Guwahati, even if they pertain directly to Shillong. After spending a week in Guwahati, I headed up to Shillong and went on some wild-goose chases looking for things that were back in Guwahati. I spent two days in Shillong looking for the Shillong Times from the 1960s. I had already looked for the newspaper in the Library of Congress, which has practically everything. Although the LoC does have master copies of the paper from the time period I was interested in, there were no copies that patrons could read. No matter, I thought; I would look for Shillong Times in India. It seemed reasonable to assume that I would be able to find the newspaper in the city where it was published—but I couldn’t. 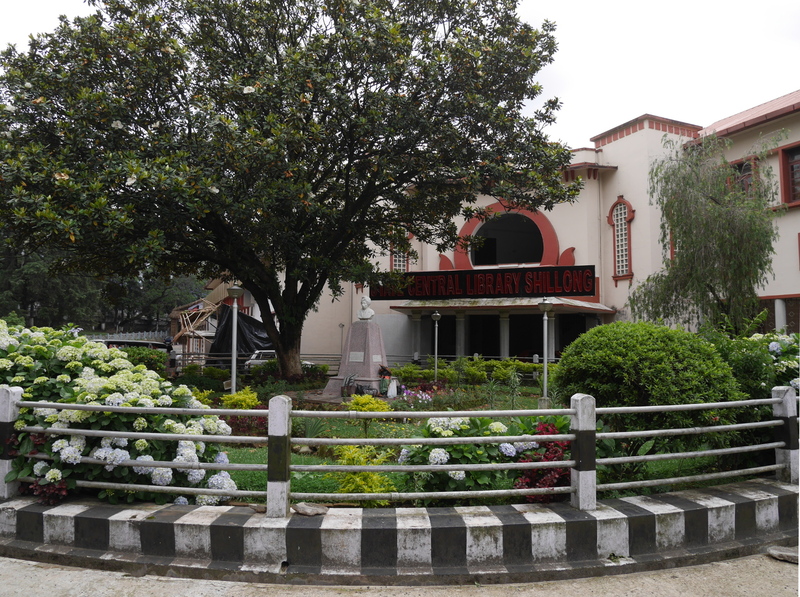 I started my wild-goose chase at the Central Library, but the head librarian told me that they only had post-1978 issues in Shillong; everything earlier was down in Guwahati. She suggested that I try Sacred Heart College Library and NEHU (North-Eastern Hill University) Library. I spent the afternoon visiting the two institutions, but the helpful staff at both failed to turn up anything. The next day, I went looking for the Shillong Times office, which a librarian at NEHU had assured me would have what I needed. It took me a while to find the office, as it was tucked away in a residential neighborhood in the Rilbong area south of the city center. In Rilbong, I had to ask a couple of people before I found the newspaper’s office, housed in a yellow Anglo-Assamese bungalow. There was no sign out front, just two brass medallions on the gate, one that said “S” and the other “T.” I inquired in the office about the newspaper from the 1960s. An employee went into the back and returned with the oldest issue they had, from 1986. The mini-partition of Assam imposed an archival amnesia on Shillong. The Central Library does not even have archives of the city’s newspaper before the split—and neither does the head office of the paper. A southern magnolia in front of the State Central Library Shillong. The NEHU Library is in a grove of tall, skinny pines that could almost be in Alabama. Compound wall of the Assam State Archives, Guwahati. Assam State Archives have an interesting and informative website, including a virtual tour as well as more practical information about the collection.